If you are searching for lawyers in Mullica Hill NJ to help you with estate, family, or other legal disputes, contact the Law Offices of Puff & Cockerill. Our Gloucester County firm has been representing residents for over four decades, and we’ve recently opened a new office closer to you in Pitman. At Puff & Cockerill, we are dedicated to achieving the most favorable results for you, and at a reasonable cost. Estate Law. When you need estate planning for the inevitable event of a family member’s death, we can assist you no matter your economic standing. 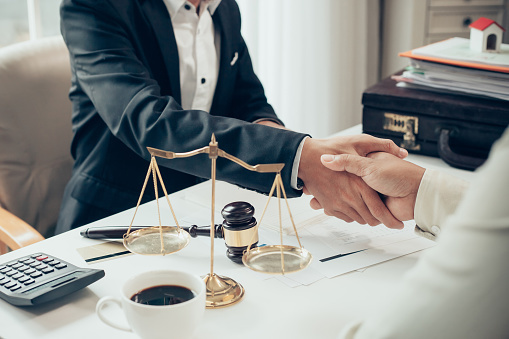 Should you be involved in a legal dispute over an estate, we can effectively represent you in litigation for contested wills or misappropriated assets. We understand how emotional such matters are, and we do our best to foster a strong relationship with our clients and their families. Family Law. We are experts with successful experience in divorce, custody, pre-nuptial and post-nuptial agreements, and other family matters. We help you through the difficulties of family disputes, and seek the best legal results for you to help you get on with your life. We can help you find more cost-effective solutions that don’t involve litigation, making your life easier both financially and emotionally. Real Estate Law. Our real estate attorneys can help you with residential or commercial sales, landlord/tenant disputes, breaches of contract and other real estate law matters. At Puff & Cockerill, we understand how complex real estate law is in New Jersey, and we know how to protect your rights. Whatever your reason for needing lawyers in Mullica Hill NJ, Puff & Cockerill can help you. We invite you to find out more by looking around this website or by using this form to request a consultation. We look forward to helping you through your legal problems and moving forward again.